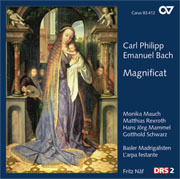 With his first major vocal work, his Magnificat of 1749, Carl Philipp Emanuel Bach created a magnificent and forward-looking setting of this well-known text, a work quite unrivalled for its time. 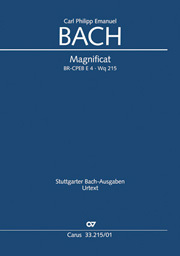 In the choral writing, CPE Bach used a quite different style from the predominantly homophonic style of some of his later works. 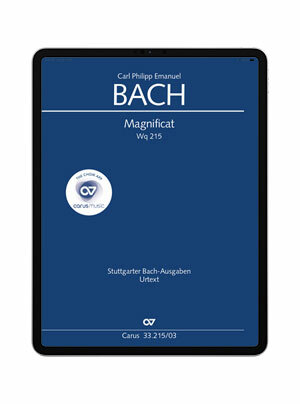 Unusual harmonic turns and independent part-writing in the fugal movements and elsewhere result in demanding, yet attractive parts for choral singers.